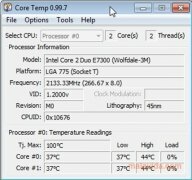 If we use our computer a lot, our processor temperature may be increasing to dangerous levels, therefore affecting how it works and possibly leading to damage. 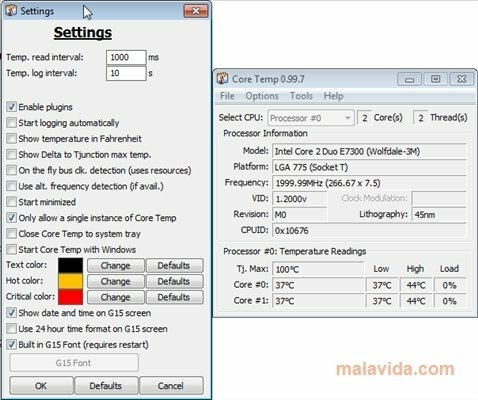 With Core Temp we'll be able to keep track of the temperature of our CPU in a very clear and simple fashion. 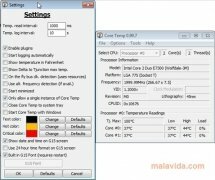 It does so by showing us the temperature of each one of the cores that are part of the processor. 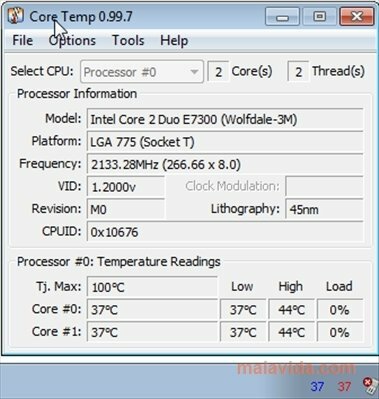 You'll be able to view the temperature variations that the processor undergoes in real time. It can even be programmed to let you know when the temperature reaches a dangerous level. 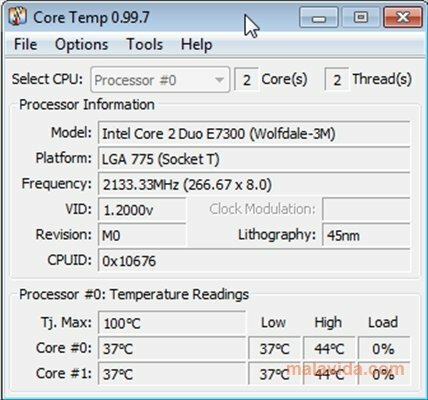 This lightweight program also includes a log function that allows us to keep track of the processor's temperature variations during a certain period of time so that we can later export the data to an Excel document. 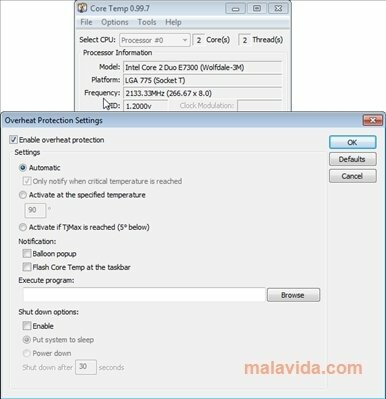 Very handy to keep your CPU under control. Both its interface as well as its functioning are very clear and simple.One of its latest features allows the creation of a button for the taskbar. Furthermore, even if you have the program running in the background, it will show a small viewer besides the system tray with the temperature. 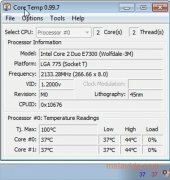 You'll be able to find a full list of compatible processors here.